Lay the rhubarb in a tray and sprinkle with 3 tbsp each of sugar and water. Roast in the oven, 180°C for about 10 minutes until soft. Don’t allow to dry out! 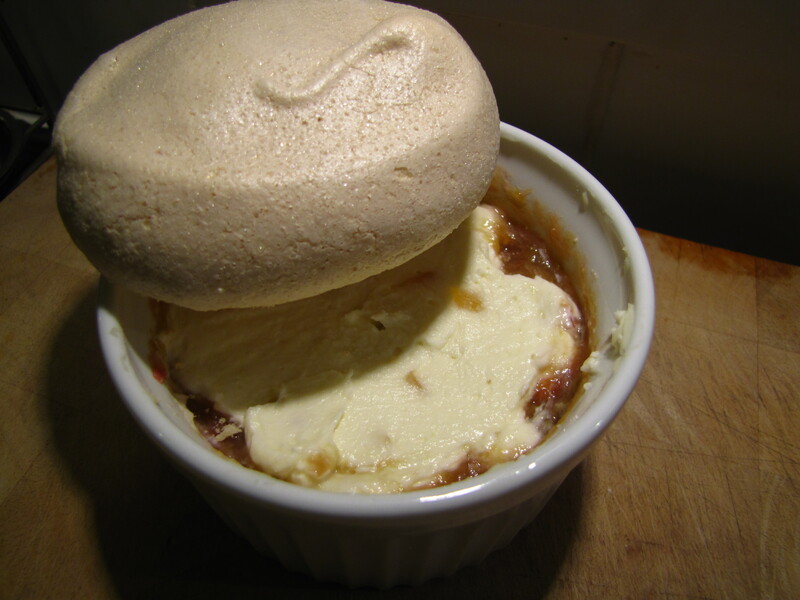 In 4 small ramekins, put a layer of rhubarb in the bottom, top with a layer of ginger cream and keep in the frindge until you’re ready to serve.